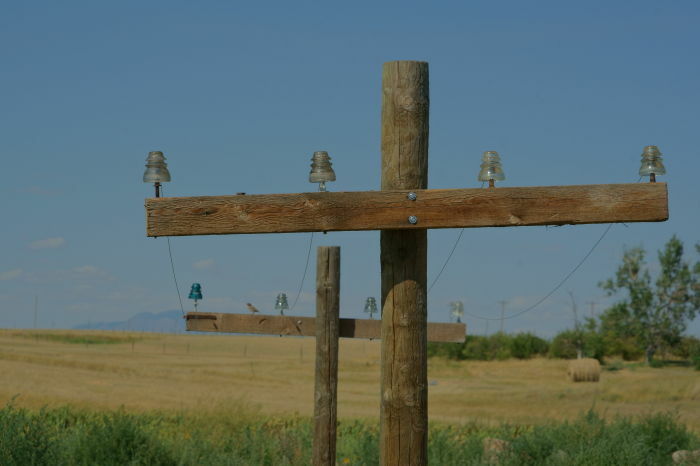 You could easily speed by the tiny town of Galata, Montana without realizing it’s there. I almost did — but then I glanced back, realized what I was missing, and made a quick u-turn. 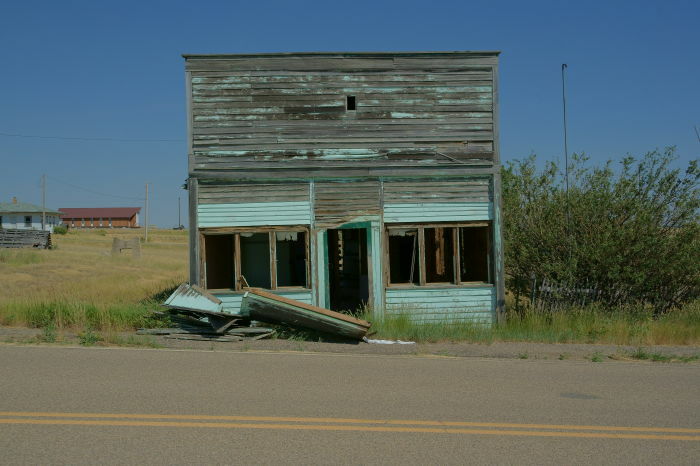 Galata is, for the most part, a ghost town, unpreserved and mostly unknown, just sitting out there in the middle of Montana, as the decades pass. 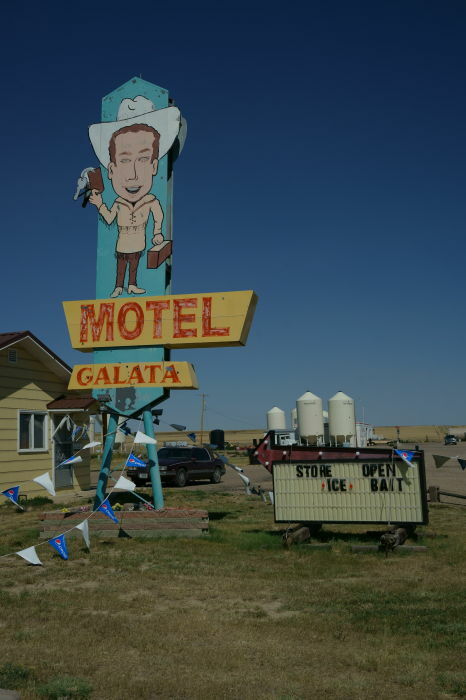 Galata, Montana is located about 23 miles east of Shelby, Montana, on US 2. The actual town is about a half-mile up the hill, on the north side of the highway. As I approached Galata, Montana, one thing caught my eye — this arguably ugly sign, featuring a giant-headed cowboy. Caricatures with oversized heads have always given me the creeps. Not to mention, if this sign had ever been wired with neon, those tubes were long gone. Still, I stopped and took a picture of it. I figured that would be the only picture I would take in Galata, and then I moved on. Back on US 2, I was just getting up to the speed limit when I glanced back and noticed that Galata was more than just a roadside motel. There were remnants of an actual town, on the hill behind the motel. I turned around and came back. Cross the railroad tracks and drive up the hill on Galata Road, and you’ll pass through the middle of town — or at least, what used to be a town. 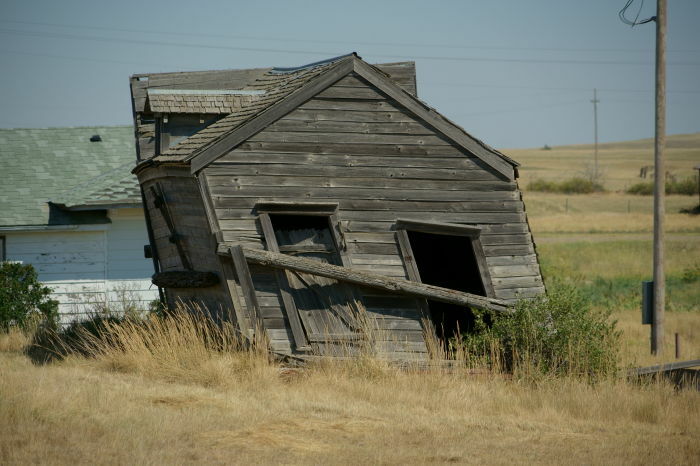 There are several old wooden buildings here — some of them leaning precariously. How many more snowstorms can this roof hold? These are beautiful old buildings. 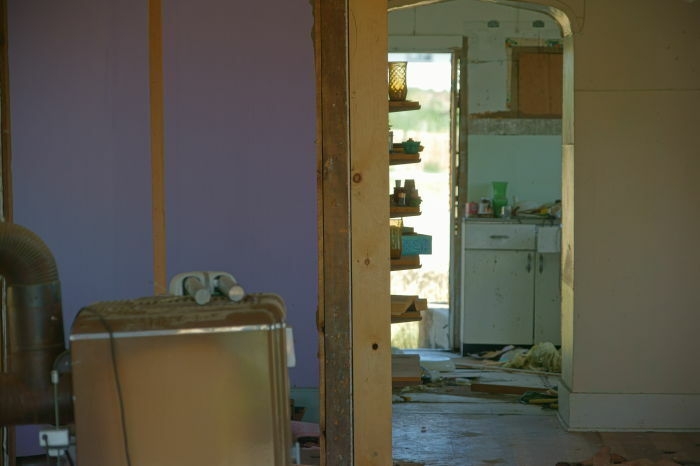 They look just like the abandoned structures I’ve seen in places like Bodie, California and Animas Forks, Colorado. But unlike those towns, which are protected on state or federal land, Galata’s structures are out here, all on their own. One was wide-open, and I suppose I could have walked inside, but I just looked through the front door from the street. If this place was any closer to a bigger city, it would have been cleaned out by now. I walked up and down Galata Road, wondering if anyone lived here at all. As I explored, I realized it even sounded like a ghost town. 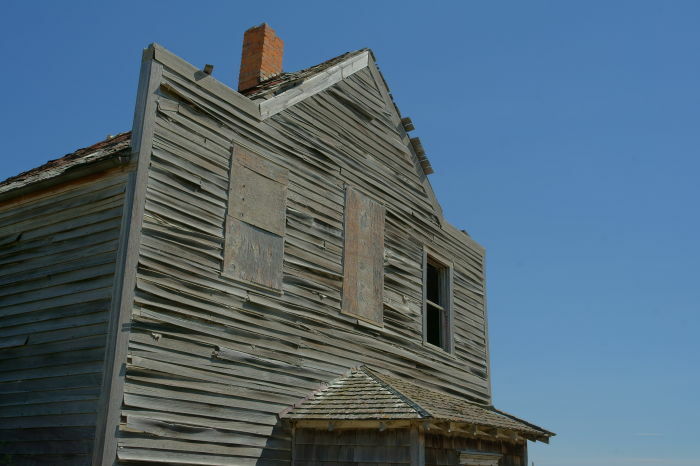 Inevitably, every ghost town has a dangling piece of sheet metal, slowly blowing in the wind, creating a faint banging noise. In Galata, that sound came from a shed near the top of the hill. It was the only sound. Are these the poles that brought power to Galata a hundred years ago? There is a church in Galata, and there are a few homes that do look like they are, or have recently been, occupied. There is still a post office here, as well as a grain elevator by the railroad tracks. Galata hasn’t been completely abandoned yet, but there are some ghosts wandering the streets. If you enjoy exploring ghost towns, take the brief detour off the Hi-line to drive into Galata, and take a look at its abandoned buildings. Be respectful, so that these pieces of history can last as long as possible.